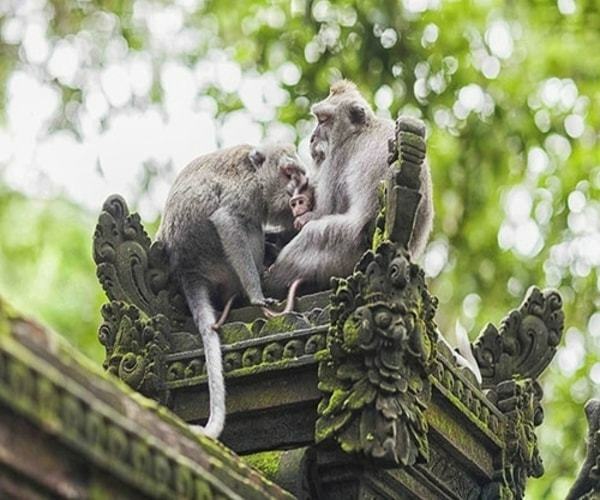 For many tourists the south of Bali is the main draw with the resort towns of Kuta and Seminyak welcoming the lively crowd whilst the more laid-back travellers visit Jimbaran Bay and Nusa Dua. However, the quaint village of Candidasa is sometimes overlooked. This pretty coastal village is the ideal escape from the crowds and is a major draw for those seeking soothing spa treatments. 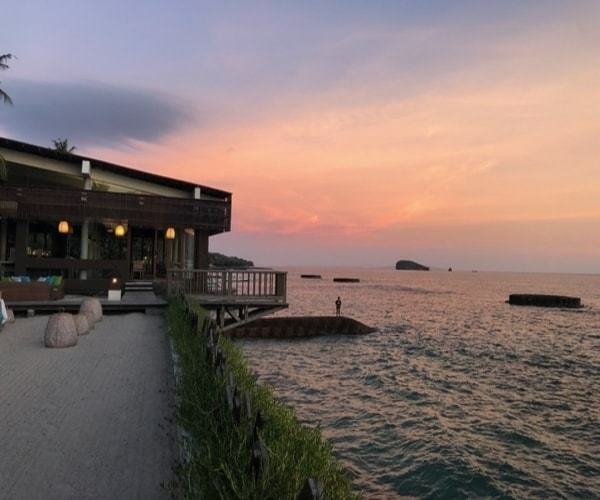 Here you can switch off from the outside world and truly relax in tranquil gardens and peaceful ocean-front ambience. 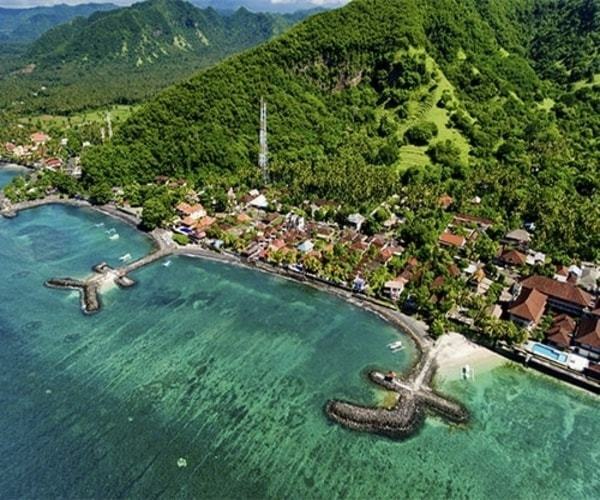 Numerous luxury hotels and resorts abound Candidasa with most accommodations lining the sea-front facing toward Nusa Penida. A highlight amongst this wide variety of resorts is the Rama Candidasa Resort & Spa, providing a luxury stay in a truly tranquil setting. Four elegant options are available across 75 rooms from Superior Garden to the much larger one-bedroom lofts, complete with separate living, dining and pantry for entertaining guests of your own. Cool off alongside the heated outdoor swimming pool with drinks from the Garpu restaurant, indulge in a massage at the spa or perhaps unwind with a complimentary yoga class in the Zen Garden. The Rama Candidasa provides a truly wonderful holiday experience within a peaceful and relaxed atmosphere by the Ocean. 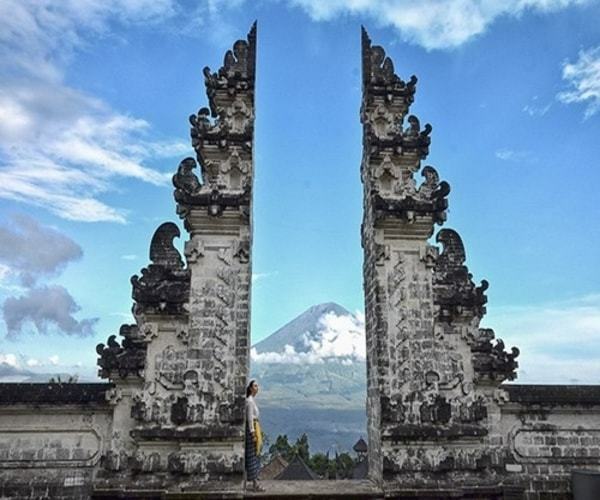 Explore temples and engage with local culture at the Goa Lawah Temple, popularly known as “Bat Cave”, or the Lempuyang Temple with stunning views of Mount Agung rising high into the distance. One for the divers is Amed Beach, around an hour north of Candidasa Town, where an underwater haven welcomes you to explore WWII fighter planes teeming with marine life from reef tip sharks to turtles and fish. Bring your camera along for the Jemeluk Viewpoint and capture the beauty of the Jemeluk Bay seascape sweeping out in front of your eyes. 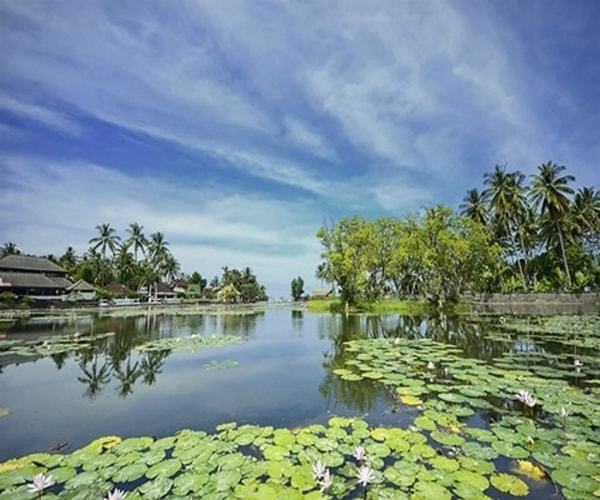 Situated in the heart of Candidasa village is the Lotus Lagoon, a peaceful retreat alongside the ocean brimming with pink and fuchsia lotuses and a small garden statue at it’s centre. For a refined night of excellent cuisine and live jazz head to Vincent’s whilst Joglo’s Bar & restaurant serves a collection of local and international dishes to suit all tastes. Taking a more laid-back approach are The New Queen Pub & Restaurant and the Crazy Kangaroo which combine live music with international sports and great cocktails, sure to create a memorable night for all. Each of the restaurants and bars within the quaint village of Candidasa provide return shuttle services, either complimentary or for a small fee to ensure you get home after the evening’s entertainment. A more extensive shopping experience awaits in nearby Ubud, however, there are still a handful of traditional boutiques where you can purchase a slice of local life in and around Candidasa. Tenganan Village Art Shops provide wonderful geringsing double ikat weavings developed from natural dies in a painstaking process to create intricate final pieces. Revitalise yourself with 100% natural soaps at Sensatia Botanicals from soap bars, bath creams and facial skincare. Segara Wangi Art Shop is the place to go in Candidasa for your traditional Balinese gifts and souvenirs, including Balinese paintings and Garuda statuettes. Setting sail aboard a traditional Balinese long boat, head to the Blue Lagoon and dive into the magical world below filled with an abundance of colourful marine life, including turtles if you’re lucky! Hire a driver for the day and take a trip into Ubud, approximately 90 minutes drive away from Candidasa. Here you’ll find a wider choice of shopping boutiques including the local market, the enchanting Monkey Forest as well as nature walks through rural rice terraces. Manta Point, found a short boat trip away at Nusa Penida, is another favourite amongst the divers and is one of the best places to see Manta Rays. I went to these gates a few months ago! The whole area is just amazing. Hopefully, it is still intact after the recent earthquakes.